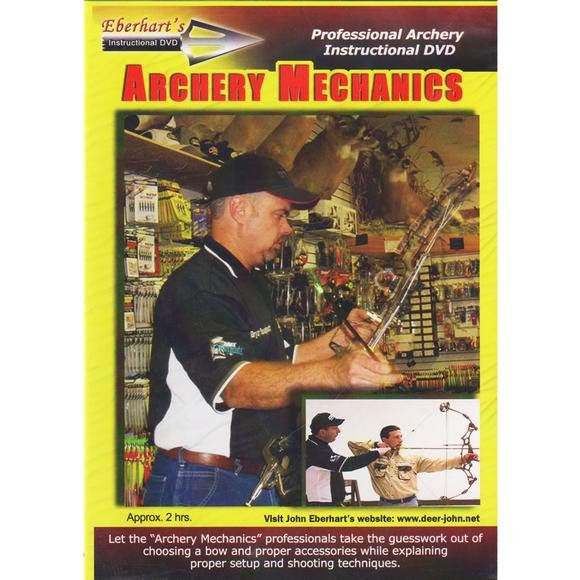 Simply put, Archery Mechanics is an in depth, comprehensive, easy to understand look at how to pick out proper archery equipment for your personal body and shooting style, as well as proper shooting form and techniques. It is a greatinstructional tool that should be watched by every bowhunter no matter how long they have been hunting. Simply put, Archery Mechanics is an in depth, comprehensive, easy to understand look at how to pick out proper archery equipment for your personal body and shooting style, as well as proper shooting form and techniques. It is a greatinstructional tool that should be watched by every bowhunter no matter how long they have been hunting. It is targeted at the beginner, novice, and experienced shooter looking to buy his or her next bow or accessories, or to learn how to improve their shooting ability. Archery mechanics goes into detail on the following subject matter; riser styles, limb styles, brace heights, axle designs, poundage and energy, string angles, sights, rests, releases, wrist straps, peep sights, silencers, string loops, quivers, stabilizers, broadheads, arrows, fletching, broadhead and field point targets, and more. It also covers; proper draw length measuring at home (without a bow), proper shooting form, proper grip and follow through, proper drawing of the bow, properly fitting of a release, shooting from an elevated stand, and properly showing a student how to shoot, and much more. Approximately 2 hours long. Co-authored "Bowhunting Pressured Whitetails" and "Precision Bowhunting"